Attendees will be required to go through a security screening checkpoint with metal detector and baggage x-ray. No weapons, knives, tools, or other potentially dangerous devices. 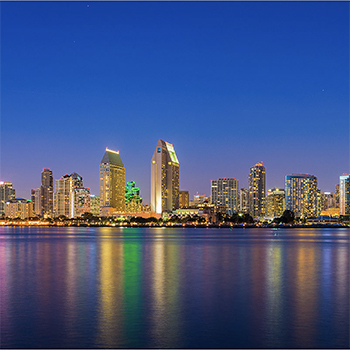 The City of San Diego’s performance and analytics department’s mission is to empower city employees, elected officials, and the public through increased transparency, efficiency, and accountability in city operations. Learn how this small department is rapidly bringing innovative change to the City of San Diego by empowering employees to question traditional perspectives, challenge the governmental status quo, and develop a data savvy community. Utilizing the department's Operational Excellence Academy, employees are learning lean methodologies they can apply to their daily work environments. Discover how employees are changing the culture of municipal government and delivering results that have led to improvements in 9-1-1 call processing times, streetlight repairs, and more. Attendees will tour city council chambers and other workspaces within city hall, learn about lean projects, and participate in Q&A sessions with city leadership. You will also have the opportunity to visit poster presentations with city employees and learn how lean principles have been applied to a diverse selection of city operations.